Over the past few months, two tired old pubs have reopened under new ownership, all shiny and newly kitted out, with food of a quality to create a stir around my 'hood of Ramsbottom. 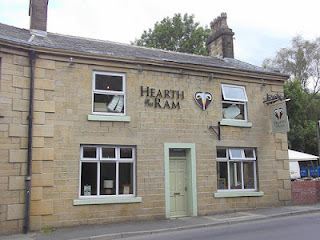 I'm talking about The Eagle and Child and Hearth of the Ram. Both are doing the same kind of thing: enlightened updates of the sort of hearty fare that Lancashire mill workers would have eaten. If you're a fan of the food at Nigel Haworth's Ribble Valley Inns, or Robert Owen Brown's cooking at The Mark Addy, you'll know just what to expect. 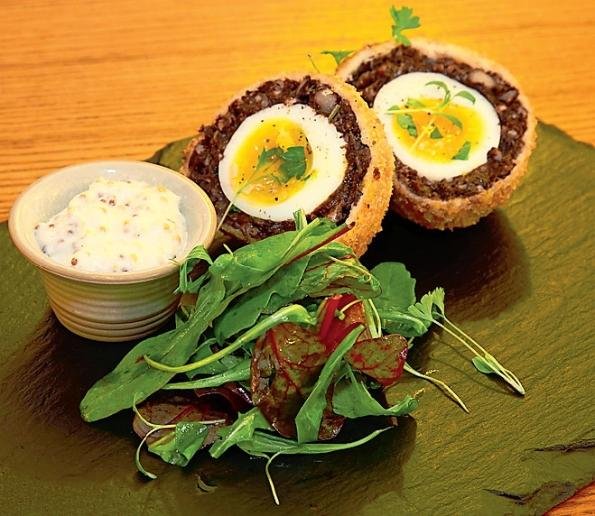 Inventive uses of black pudding? Check. Offal? Check. Local producers namechecked on menu? Check. Old school puddings? Check. It's crowd-pleasing stuff. I was impressed by The Eagle and Child, just a short walk up the hill from Ramsbottom centre in the village of Shuttleworth. It's got all the earmarks of a great local, a comfortable but not fussy interior with nice views over the valley and fireplaces for chilly days, and a family-friendly atmosphere. Impressively, they've worked with the Incredible Edible Ramsbottom group to create an edible beer garden behind the pub which will grow food for the kitchens, and there is an innovative apprenticeship programme in place. The food was very good, with generous portions served in a pleasantly relaxed fashion. My starter, a salad of new peas, broad beans, nuts and goats cheese in a light, sweet dressing was fresh-tasting and moreish. The perfect foil to my burger, a toothsome mouthful on a foccacia bun. It was a traditional British approach to the burger (season the beef and cook it through) rather than the American one I prefer, but pretty good for all that. The Lancashire cheese and tomato relish in there was a nice touch. Extra points for near-perfect onion rings. My friend's fish pie tasted amazing but proved tricky to eat as it was so liquid it threatened to cross the border into souptown. For dessert, we demolished a plant pot full of tiramisu. With a few leaves stuck in the top layer of chocolate biscuit crumbs it was almost too adorable to eat, but not quite.We left full and happy. Just down the hill near the banks of the Irwell is Hearth of the Ram. This pub has a different feel about it. It's more of an adult atmosphere, and I wouldn't be in a hurry to take kids here. I really like the interior, which is warm and stylish but a few shades more salvage-chic fashionable than the Eagle. When we went to celebrate a friend's birthday on a Friday night it was absolutely rammed, but some of the congestion should ease when a dining room opens upstairs. I was told it has the latest license in Ramsbottom (2:30 am, night owls) and definitely had an after hours vibe going on with some good James Brown on the stereo and lots of people drinking cocktails out of jam jars. As you'd expect from the higher spec interior, the food is a more cheffily ambitious version of what we had at the Eagle, with microgreens, reductions and purple vegetables entering into proceedings. I ate from the a la carte menu. They offer another, lighter menu with burgers and the like at other times, but we weren't allowed to order from this menu, which seemed odd (and unfortunately prevented me from doing a burger-to-burger taste test). But I didn't really mind, as my pork cheeks were full of flavour and beautifully matched up with butternut squash and potato terrine, and the very large glass of Pinot Noir was excellent, though pretty expensive at £8. I stole a few bites of a friend's tasty rabbit and black pudding sausages, which I'll order next time. A dessert of berry baked Alaska was good but not great. The service was good, and we all enjoyed ourselves so much we ended up lingering over drinks into the wee hours. I'm really looking forward to my next visit. A small rant: Weirdly, neither of these restaurants has prices on their menus online. It's just ridiculous not to give people some idea what they can expect to pay, especially when you're charging quite a bit more than the previous tenants for food. This is especially true at Hearth, where everything was priced just a couple of pounds higher than I thought it really needed to be. I understand they are trying to do a more ambitious thing with the food, and quality costs. But sadly, the price point means this will probably be a place I save for special occasions. The Eagle might see us more often. Nevertheless, both are extremely welcome additions to Rammy's dining scene. And with the similarly reinvented Shoulder of Mutton up Holcombe Hill apparently serving up cracking food too (though I haven't made it there yet to see for myself) this place is fast turning into gastro-pub heaven. Something the army of walkers, day trippers and steam train aficionados who descend on the town every weekend will surely appreciate. Images: Hearth of the Ram, top, by Robert Wade via Flickr. All other images courtesy of The Eagle and Child. It's been a while since our last blogmeet. So I've organised one. Hurrah! This one will be happening on Tuesday 28 August, from 6:30-8:30 pm at Common on Edge Street in the Northern Quarter. Our sponsor this time will be quirky jewellery store Hannah Makes Things, which operates a shop just down the road in Afflecks and also sells online. 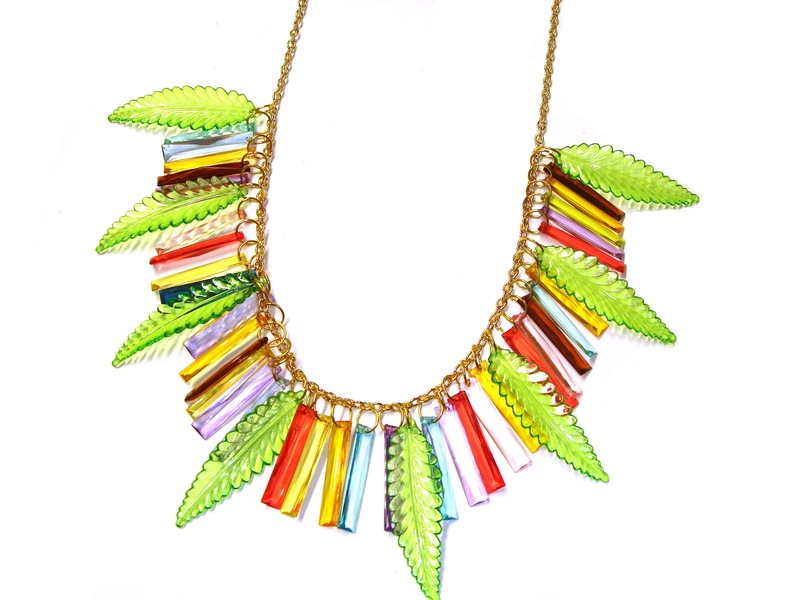 Hannah Nuttall, designer and creator of Hannah Makes Things, will be on hand to show off some of her latest goodies, talk about how she started her own jewellery company and share the inspiration behind her handmade statement necklaces and unique designs. I've been admiring her work online for a while now; it's just amazingly original. These are real conversation pieces. Come along and enjoy an after-work drink in the fine surroundings of The Kestrel Suite at Common and mingle with others of your ilk; all bloggers from Manchester and elsewhere are very welcome. But please don't come if you do not actually have a blog on the internets (otherwise, it's just embarassing for everyone.) We're a friendly bunch, so don't be shy. But it's best to be up front about the fact that we will make you wear a name tag with your name and blog's name on, unless you're one of those people who has your blog url tattooed on your forehead. See you there.